Please contact STSA Headquarters with questions or suggestions regarding STSA News at stsa@stsa.org. STSA is excited to host a wonderful line of speakers, both guests and colleagues, at this year’s STSA 65th Annual Meeting at the Omni Amelia Island Plantation Resort in Amelia Island, FL on November 7-10, 2018. For many years, Coach has been considered among the greatest speaking legends in America today. He speaks on overcoming seemingly impossible challenges by setting goals and working to achieve them. He has built a reputation as a motivator, a demanding disciplinarian, and someone who relishes challenges and hard work. Join us for this interactive presentation on Thursday morning. On Friday afternoon, Jerrold H. Levy, Professor of Anesthesiology from Duke University Hospital, will discuss how to manage the new anticoagulants from a surgical perspective. During the Saturday morning Postgraduate Breakfast Session titled: “The Past, Present and Future,” STSA will feature invited guest, Wayne Sotile, discussing the topic of Physician Resilience. Dr. Sotile is a pioneer in the fields of health psychology, resilience and work/life balance for high performing individuals. 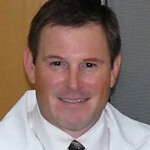 He is one of the world’s most seasoned clinicians specializing in life coaching for physicians. Dr. Sotile’s solution-focused life coaching process emphasizes practical applications of evidence-based findings from the combined fields of resilience, positive psychology, marriage/family systems, and adult developmental psychology. Attendees and their spouses and guests are encouraged to attend this special presentation on Saturday morning at the Postgraduate Course. Following Dr. Sotile’s presentation, the Postgraduate Program will feature another living legend in cardiothoracic surgery. This year’s spotlight will be on Alec Patterson from Washington University School of Medicine. You don’t want to miss the opportunity to hear these educational presentations from the selected individuals. See the full list of educational sessions in the Advance Program. Register for the STSA 65th Annual Meeting today! Register online or download a printable registration form. Reserve your room at the Omni Amelia Island Plantation Resort. A block of discounted hotel rooms is being held until Monday, October 8, 2018, provided rooms are still available in the STSA room block. After this date, room reservations will be accepted based upon availability only. Book early to secure your room at the host resort! Visit www.stsa.org/65thannual and click on the direct link to the Omni reservation website or call the hotel reservations department at 888-444-6664. To qualify for the special meeting rate, be sure to mention that you are attending the Southern Thoracic Surgical Association’s annual meeting. This activity will be planned and implemented in accordance with the accreditation requirements and policies of the Accreditation Council for Continuing Medical Education (ACCME) through the joint providership of The Society of Thoracic Surgeons and The Southern Thoracic Surgical Association. The Society of Thoracic Surgeons is accredited by the ACCME to provide continuing medical education for physicians. The STS designates this educational activity for a maximum of 17.50 AMA PRA Category 1 Credit(s)™. Physicians should only claim credit commensurate with the extent of their participation in the activity. Robert Bartlett, MD presented the talk “ECMO: Past, Present and Future” at STSA 2015 on Nov. 5, 2015 in Orlando, FL. 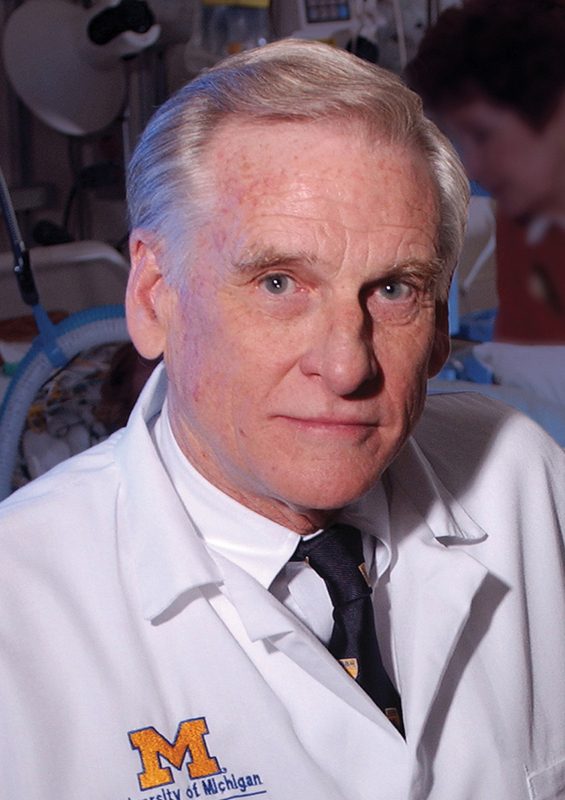 Robert Bartlett, MD, Emeritus Professor of Surgery at the University of Michigan Medical Center, Ann Arbor, Michigan, presented an informative talk on extracorporeal membrane oxygenation (ECMO) during the STSA 62nd Annual Meeting in Orlando on November 5, 2015. Video of this talk is now available on CTSNet. The 2016 STSA Postgraduate Program will take place on Thursday, November 10, 2016 in conjunction with the 63rd Annual Meeting. An agenda will be available in the coming weeks. Tirone E. David, MD of Toronto General Hospital will present the 2015 STSA Postgraduate Program Special Session talk on Thursday, November 5 from 11:20 am-12:00 pm. Dr. David’s talk, titled “Lifelong Observations on Heart Valve Surgery,” is based on his more than 30 years of clinical practice and experience. Topics that Dr. David plans to discuss include functional anatomy of heart valves and their role in surgical treatment, comparative results of various devices used for heart surgery, and repair versus replacement for the treatment of heart valve disease. Dr. David will also examine operative mortality, morbidity, and long-term outcomes, as well as procedures that improve patients’ survival and functional recovery. STSA 62nd Annual Meeting attendees who participate in this session will develop a better understanding of the effects that various cardiothoracic surgical procedures have on patient outcomes. Participants will learn to compare the outcomes presented with their own outcomes in order to determine if improvement is realistic. A past president of the American Association of Thoracic Surgeons, Dr. David currently serves as professor and head of the division of cardiothoracic surgery at Toronto General Hospital in Toronto, ON, Canada. He is world-renown for his surgical skills and innovations. Watch CTSNet’s April 2014 Giants of Cardiac Surgery interview with Dr. David. Don’t miss Dr. David’s Special Session talk on Thursday, November 5 at 11:20 am. Register for the 62nd Annual Meeting online or download a printable registration form. The deadline to pre-register for the meeting is this Tuesday, October 13. After October 13, registration fees increase and attendees must register on-site. Download the 62nd Annual Meeting Program Book to review the entire educational program and schedule of events. 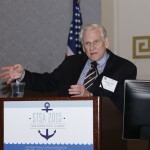 Visit www.stsa.org/62ndannual to learn more. Contact STSA Headquarters with questions at stsa@stsa.org or 800.685.7872. Robert H. Bartlett, MD of Ann Arbor, MI will deliver an invited talk titled “ECMO – Past, Present, and Future” during the STSA 62nd Annual Meeting Postgraduate Program on Thursday, November 5, 10:20 am-10:50 am, at Disney’s Yacht & Beach Club Resorts in Lake Buena Vista, FL. The deadline to preregister for the 62nd Annual Meeting is October 13. Register online or download the printable registration form. After October 13, registration fees will increase and attendees must register on-site. 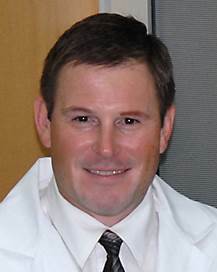 Dr. Bartlett’s November 6 talk will review and update attendees about ECMO indications, techniques, and results in cardiac and pulmonary failure. Ample time will be provided for questions and open discussion. Dr. Bartlett is renowned for his role in developing ECMO, a modified heart-lung machine used around the world for patients with acute heart or lung failure. 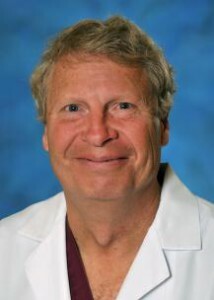 He currently serves as Emeritus Professor of Surgery, Sections of General and Thoracic Surgery at the University of Michigan. In addition to his contributions to the scientific advancement of CT surgery, a July 6, 2005 article published in The Ann Arbor News characterized Bartlett as “a brilliant surgeon and researcher who is simultaneously humble and compassionate.” Review Dr. Bartlett’s full biography, published by the University of Michigan Faculty Memoir Project. Make your plans to attend Dr. Bartlett’s talk on November 5 at Disney’s Yacht & Beach Club Resorts in Lake Buena Vista, FL! Learn more about the 62nd Annual Meeting Postgraduate Program and the 2015 STSA Postgraduate Committee. 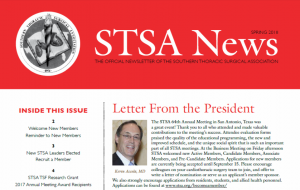 In honor of J. Kent Trinkle, MD’s (STSA President, 1981-82) remarkable dedication to student education, a cardiothoracic surgery Program Director is selected each year to discuss their training program during the STSA Annual Meeting General Session. STSA President, John H. Calhoon, MD, selected John S. Ikonomidis, MD to deliver the 2015 Kent Trinkle Education Lectureship during the upcoming STSA 62nd Annual Meeting. The 62nd Annual Meeting will take place November 4-7 at Disney’s Yacht & Beach Club Resorts in Lake Buena Vista, FL. The preregistration deadline is October 13.
Review the full STSA 62nd Annual Meeting educational program and register for the meeting. Dr. Ikonomidis’ Kent Trinkle Education Lecture is titled “Integrating the Integrated Program: The MUSC Experience” and will take place on Friday, November 6 at 10:30 am in Grand Harbor Ballroom North. Dr. Ikonomidis is currently the Horace G. Smithy Professor, Chief of the Division of Cardiothoracic Surgery, and Director of the Cardiothoracic Surgery Residency Program at the Medical University of South Carolina. Make your plans now to attend Dr. Ikonomidis’ 2015 Kent Trinkle Education Lecture during the STSA 62nd Annual Meeting General Session on Friday, November 6 at 10:30 am in Lake Buena Vista, FL. Plan to attend Alan Speir, MD’s talk on SGR Reform during the STSA 62nd Annual Meeting, Saturday, November 7, 7:40 am. Dr. Speir’s STSA 62nd Annual Meeting presentation will address misunderstood aspects of the SGR Reform Bill (MACRA) and how the current practice of CT surgery may have to be modified in compliance with new components of the Bill. The presentation will also explain how current payment is calculated in the specialty; the importance of blocking the “0-day global” measures planned for implementation by CMS in 2016; and how surgeons can further document and define care activities in CT Surgery with an emphasis on improvement of clinical outcomes in the expanding environment of value-based purchasing. Dr. Speir’s talk will take place on Saturday, November 7, 2015 from 7:40 am-8:00 am at Disney’s Yacht & Beach Club Resorts in Lake Buena Vista, FL. Mark your calendar and plan to attend! Review the entire STSA 62nd Annual Meeting educational lineup in the Advance Program. Register for the 62nd Annual Meeting and reserve your hotel room today at www.stsa.org/62ndannual. This will be an educational and fun meeting that you and your family won’t want to miss!